Check this out: http://www.motherapp.com. 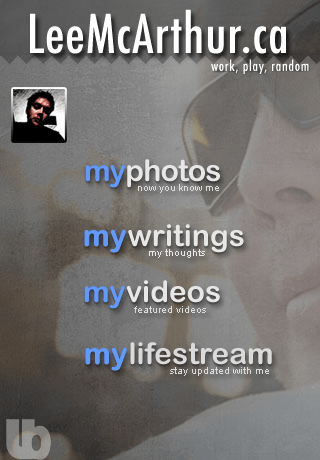 This is a service that creates native iphone applications from your existing blog. I have started the process to see how this works to create an app for leemcarthur.ca. Could be cool. Puts the pressure on to write good content, all the time.